Prime Minister Narendra Modi Saturday launched a slew of central government projects worth more than Rs 4,500 crore in Odisha and said these will also benefit lakhs of people in West Bengal and Jharkhand. Describing the projects as a new year gift for the people of Odisha to ensure speedy development of the state, Modi said: "these will benefit the people in three eastern states of Odisha, West Bengal and Jharkhand". Affirming the Centre's commitment to strengthen infrastructure and connectivity in the country, mainly the eastern region, Modi said the focus is on boosting railway, airways and highway connectivity in Odisha. Enhanced connectivity will bridge the gap between the mineral belt and industrial units, the prime minister said adding "Sabka Saath, Sabka Vikas" is Centre's motto, as he launched the projects before addressing a BJP rally at Chhau Ground at Baripada in tribal-dominated Mayurbhanj district. The projects were unveiled during Modi's second visit to the eastern state in less than a fortnight. He had unveiled a slew of projects in Bhubaneswar and addressed a BJP rally near Khurda town on December 24. The projects are -- road highways and transport, petroleum and natural gas, railways, culture, tourism and passport services. The prime minister launched four-laning of three major national highways in Odisha, a section of a key LPG pipeline and doubling of an important railway line. He also flagged off new passenger train on a route, unveiled a multi-modal logistics hub in Balasore and restoration and conservation of historical site of Haripurgarh. Foundation laying and inauguration of a host of projects by the prime minister comes ahead of general elections. Assembly election in Odisha is also due with Lok Sabha polls. During his last visit to Odisha on December 24, Modi had unveiled a number of projects worth more than Rs 14,500 crore in the state. Modi laid foundation stones for four-laning of the Rs 828.36 crore 43.2 km Rimuli-Koida section of NH 215, four-laning of 104.2 km of Singara-Binjabahal section of NH-6 at a project cost of Rs 1,313 crore, four-laning of 53.2 km of Koida-Rajmunda Section of NH-215 at a project cost of Rs 1,176.4 crore. 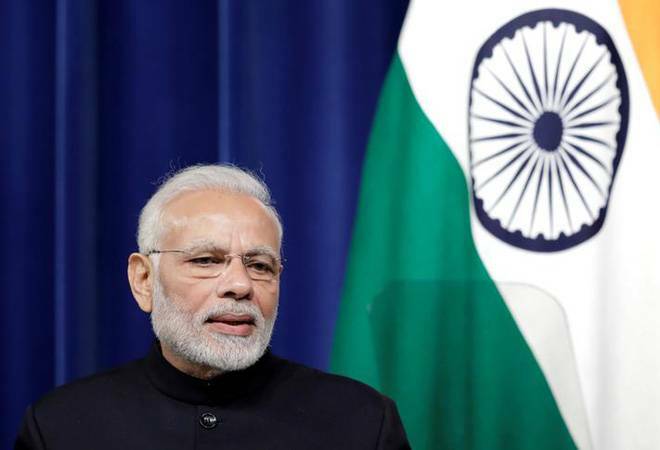 Modi said the state's growth will be ensured by the quality and density of highway networks connecting key industrial hubs to move goods and services at an express pace. The prime minister also dedicated to the nation the Balasore-Haldia-Durgapur section of Paradip-Haldia-Durgapur LPG Pipeline of Indian Oil Corporation Ltd. The 513-km Balasore-Haldia-Durgapur section, being built at a cost of Rs 1,080 crore, is part of the Paradip-Haldia-Durgapur LPG pipeline which is the first LPG pipeline laid by IOCL in Eastern India. The 670-km Paradip-Haldia-Durgapur line has been built at a cost of Rs 1,330 crore and will ensure uninterrupted supply to gas to Odisha and neighbouring states. Modi said these projects will generate a large number of employment opportunities besides improving the quality of people's life. Among the railway projects, Modi flagged off the second passenger train from Tatanagar to Badampahar. The Tatanagar-Badampahar railway line was laid in 1911 and only one train ran on the route. The second passenger train was flagged off on this historic line to benefit people of Badampahar who will now have rail-linkage to Howrah and Mumbai via Tatanagar for six days a week. Modi also dedicated the doubling of Naranpur-Basantpur and Chillikidara-Sagadapata rail line to the nation. Doubling of the 11.3 km Chillikidara-Sagadapata line and 9 km Naranpur-Basantpur line will connect the mineral-rich area of Keonjhar and Jajpur districts in Odisha and generate industrial revenue. The prime minister dedicated to the nation the multi-modal logistics park (MMLP) at Balasore built at a cost of Rs 25 crore which will have custom facilitation centre for export/import. It will have a custom bonded area of 38,325 sqm, one full-length rail line, two warehouses and road weighbridge, the officials said. This apart, Modi inaugurated the conservation and development works for Rasikaray Temple and the excavated structure at the ancient fort of Haripurgarh, which was the 14th-century stronghold of the Bhanja Dynasty of Mayurbhanj, officials said. In addition, passport sewa kendras were inaugurated at post offices in Bhadrak, Cuttack, Jajpur, Aska, Keonjhar and Dhenkanal. Currently, people have to go to the regional passport office at Bhubaneswar.